Eureka is a well-known vacuum manufacturer. They have produced a wide variety of different vacuums. Eureka is known for making excellent vacuums. The NEC122 is not an exception to that rule. In this review, you’re going to learn what the Eureka NEC122 PowerPlush Stick Vacuum can offer you, and what makes it such a great stick vacuum. What Surfaces Does This Vacuum Work Best On? What Kind Of Filtration System Does This Vacuum Have? 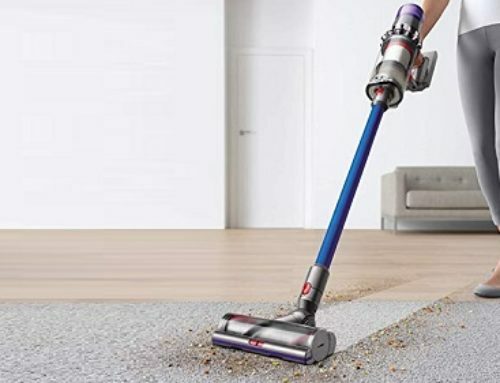 What Kind Of Power Does This Vacuum Have? How Long Is The Battery-Life And What Is The Battery Like? 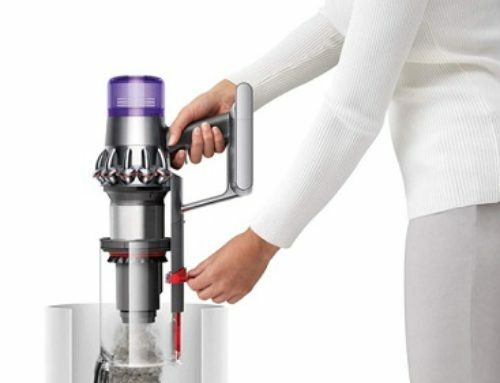 What Accessories Does This Vacuum Come With? A stick vacuum is just like an upright vacuum. It looks similar. It stands up nice and straight – or “upright”. But stick vacuums are smaller. More mobile. More versatile. Upright vacuums tend to be rather bulky and heavy. Stick vacuums, on the other hand, are very lightweight. This has many advantages. One of which is that you can more easily, and effectively, clean smaller, tighter, and narrower spaces. Storing these kinds of vacuums is also easier. But, there are a few disadvantages to owning a stick vacuum. One of which is that these vacuums can’t match the power of an upright vacuum. They’re much smaller, and so they have less room for a powerful motor. They also tend to be a bit more expensive, due to the engineering complexities and their smaller level of popularity. As per the title of the vacuum, it works best on hard floors. Specifically, hardwood floors. Although, surfaces such as marble probably won’t present a great challenge. In the title of the vacuum, there is the phrase “PowerPlush”. This refers to the plush brush roll. Now, this particular brush roll is designed to clean hard floors, due to the nature of the plush material. Along the same lines, due to the plush material, it can effortlessly clean both large particles – such as dust and debris – as well as small, almost minuscule particles. During the cleaning process, all of these particles are then sucked into a filter. The Eureka NEC122 uses an Anti-Allergen filtration system. Based on official metrics provided by Eureka, this filtration system captures 99.5% of allergens, as well as things like fine dust. These things must be, at the smallest, 0.3 microns. Due to this incredibly small size, this filtration system can truly filter and capture just about every particle that you vacuum up. When the filters are dirty, you don’t need to purchase new ones. Instead, you can take them into the sink and wash them out. Other vacuums require you to purchase new filters. But, with the Eureka NEC122, you don’t need to do that. Once the filtration process is complete, all of the dirt, dust, and debris goes into the dust cup. This is a simple-to-use dust cup. Just press a button, and you can release the debris into the garbage. Based on the voltage measurement, you have 21.6 volts of power. As a cordless stick vacuum cleaner this is quite exceptional. Most cordless stick vacuums have a lot less power. This is due to the inherent power limitations of a stick vacuum. Fortunately, the Eureka NEC122 doesn’t have those same limitations. With that being said, though, this power is, as mentioned earlier, best used on hard flooring. Using it on carpeting, or other materials isn’t an impossible task. But, it isn’t designed for that, and so it won’t be as efficient or useful. Due to the power usage, as well, the battery life isn’t particularly long. On average, the battery life is 15 to 20 minutes. The 20 minutes comes when using the vacuum on hard flooring. When using it on carpeting, or other thick materials, it will decrease down to 15 minutes, and possibly less. There is no specific measurement given for how long it takes to recharge. Estimates put it at 2 hours, though. To charge the stick vacuum, you only need to use the charging bay that the vacuum comes with. The Eureka NEC122 comes with two cleaning tools. One of which is an upholstery tool, the other is a crevice tool. These cleaning tools are designed to extend the reach of the vacuum. You can use them for things like pet hair, upholstery, and spaces that are hard-to-reach. 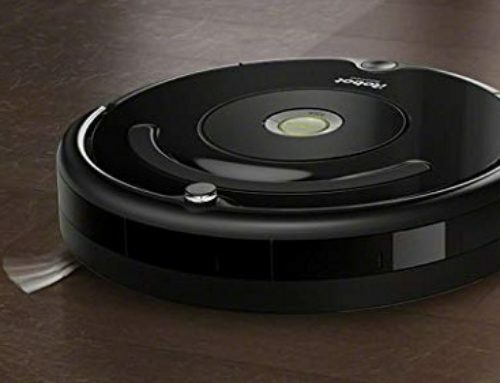 This isn’t an accessory, but the vacuum also has a feature that enables you to turn the vacuum into a handheld vacuum. Allowing you to extend the vacuums further main capabilities.